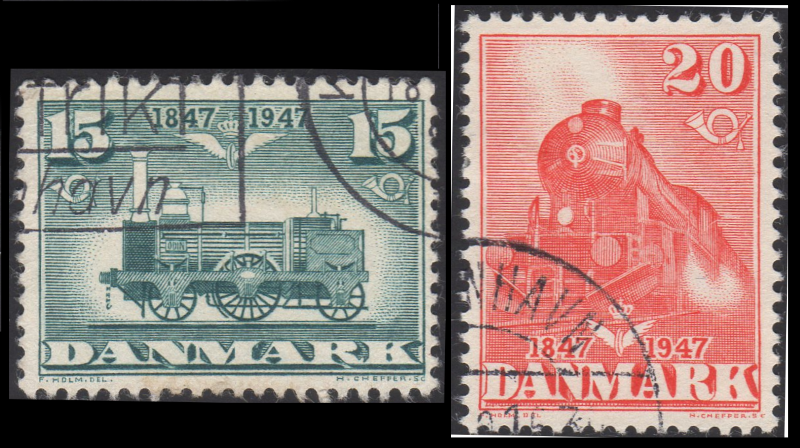 The 1947 Locomotives issue of Denmark commemorating the Centenary of the State Railways has a few interesting design types that are noted in the Facit Catalog but not mentioned in Scott or Michel. The series contains 3 stamps. 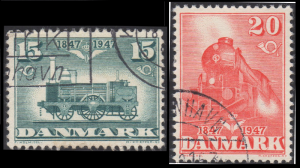 A 15o, 20o, and 40o each featuring a locomotive from various eras. The first 2 values, according to Facit exist in one of two design types, and the 40o value exists in 2 colors. 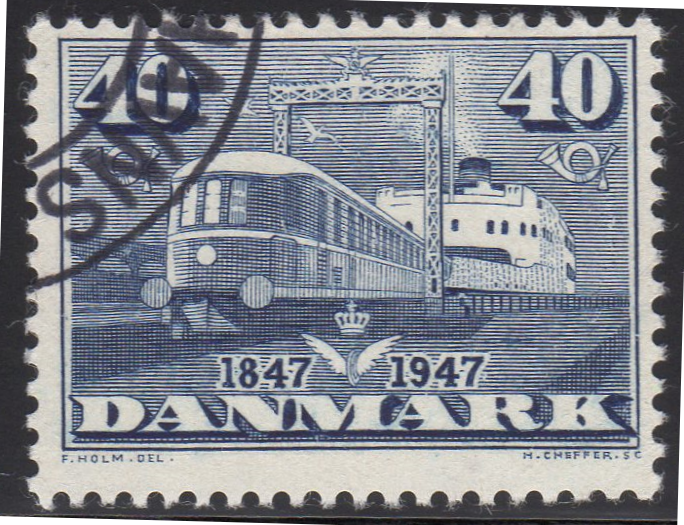 The Type I designs of the 15o and 20o, and the Blue color of the 40o were issued in June 1947 and the Type II designs of the 15o and 20o with the greyish blue color of the 40o were issued in October of 1947. 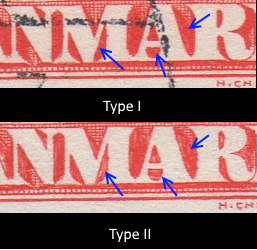 The two types of the 15o are most easily distinguished by examining the shading between the “N” and “M” of Danmark. The Type II variety has a small white horizontal white line, and the Type I is solid. The 20o Red Types I and II are distinguished based again on the shading of the letters. 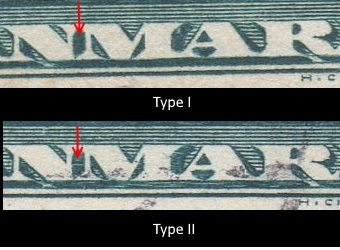 Type I has a more solid shading where Type II shows white lines within the shading. Finally, the 40o, exists in 2 colors. Blue and Greyish Blue. I only have one copy of the Blue and don’t have the Greyish Blue in my collection.